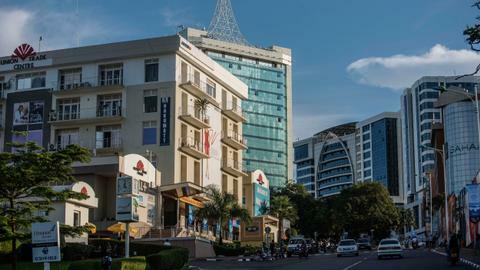 What makes Rwanda one of Africa’s fastest growing economies? A handful of Muslims took a stand during the hundred days of slaughter. Their stance inspired thousands of Rwandans to become Muslim in what was once called Africa’s most Catholic country. “I was a Catholic pastor before genocide,” Matabaro Sulaiman told TRT World on a chilly Thursday night in Kigali, dressed in a flashy purple jilbab - a long loose-fit dress worn by Muslim men. “The [victims] went to churches thinking they will find peace but instead, they were killed. Muslims made up one percent of the population before the genocide. 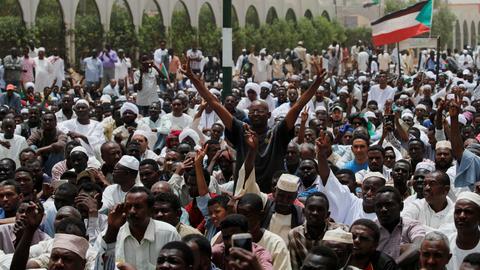 Although no census has been conducted, today “12 percent to 15 percent of the total population is Muslim”, according to Salim Habimana, a former Mufti of the country. The 1994 genocide began after a decade-long systematic dehumanisation campaign against the Tutsis turned into full ethnic cleansing. The hatred was so deeply implanted in ordinary society that neighbour turned on neighbour, friend against friend, as people joined the slaughter of those closest to them. Many went to churches as a last resort to seek refuge but death eventually found them, even in what they hoped were houses of God. Thousands were killed inside churches across the country, including Rwanda’s largest Catholic church, Saint Famille. 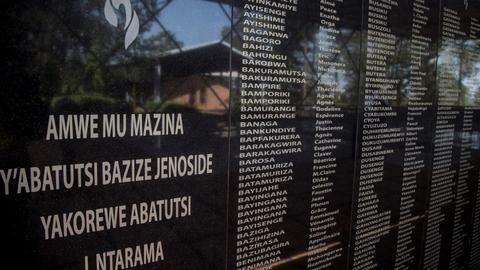 Nyamata Church, located in the outskirts of south Kigali, became a mass grave for nearly 50,000 people who thought they were safe. The victims’ clothes still remain piled on pews inside the church. However, when churches became slaughterhouses, the country’s tiny Muslim minority opened its doors. A couple from the next table sprang to attention when Sulaiman raised his voice, describing the Muslims’ refusal to take part in the genocide and their efforts to protect innocent civilians. Now, Sulaiman shares the stage with Christian pastors, getting into heated discussions about religious issues in front of audiences of hundreds. He goes travelling from village to village, preaching Islam. Next to Sulaiman, sits Ndagijimana Ibrahim. At 14, he lost most of his family members, including his father, when the militias attacked his home. He managed to escape and got back on his feet after the genocide. He now has three masters degrees with a PhD pending in governance. He backed up Sulaiman’s accounts of how Muslims behaved during the genocide. He told TRT World that when the killings began in April 1994, the Mufti of Rwanda prohibited Muslims from involvement in the killings, arguing that killing civilians is forbidden in Islam. 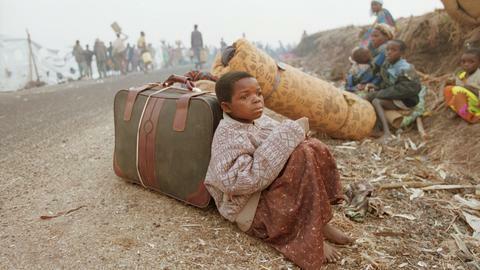 “Muslims supported the Tutsi families and hid them,” Ibrahim said. There is no shortage of such accounts. Mbarushimana Hussain was four years old when he and his parents took shelter in a mosque for a month. "Even though, I was four years old, I can't forget that Muslim man. “Amid mass murder, the Muslim guy used to go out everyday and brought food for 40 non-Muslims in the mosque." Hussain said: “Ten years after genocide, I became Muslim along with my mother and father. However, the good behaviour of educated Muslim traders enabled them to build close relations with the locals and elites alike, and as a result, Islam found a relatively small following. Sheikh Habimana, told TRT World that Muslims lost their social and economic privileges when Belgian colonialists arrived on Rwandan soil. “Treated like second-class citizens and labelled as the ‘anti-Christ’ by the Belgian colonial rulers, Muslims were denied an education, to own land, have jobs and the right to move freely around the country,” Habimana said. 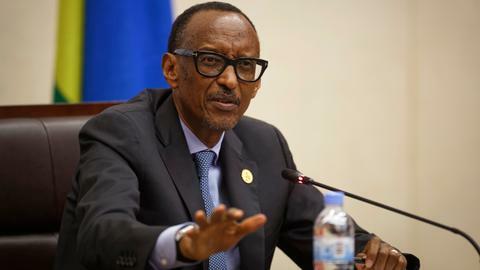 In independent Rwanda, Muslims continued to face discrimination from the post-colonial state administration, which was deeply connected to the colonial Catholic institution. “It just got worse. Muslims were considered foreigners by the government and they were marginalised in every aspect of life,” explained Habimana. The demonisation campaign resulted in the exclusion of Muslims from society as ruling-class Hutus were taught that mosques were devil houses and that they should not shake hands with Muslims to avoid getting sick. Hutu-dominated governments, which sought to stratify society along ethnic lines, also objected to the disregard Muslims had for division based on such differences. Habimana argues that for the Muslim community it’s not just about the numbers but also presenting Islam as a solution for the problems of Rwandan society. “Like other Rwandans, we are present everywhere as ambassadors, army officers, and parliamentarians,” he said. As a well-integrated minority group, Muslims actively contribute to Rwandan society and they are seen as a respectable community. Habimana says this is because “when Muslims are assigned to any work or job, they work double not just as Rwandan but as Muslim as well, to show that they can do it”. 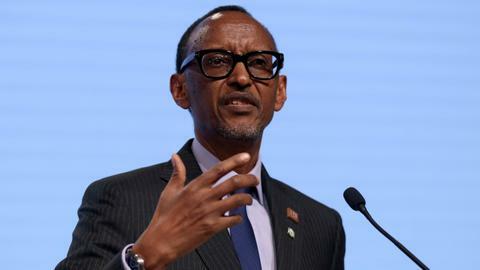 “The good behaviour of Rwandan Muslims in times of crisis, inspired thousands of Christians to become Muslim,” Sulaiman said.